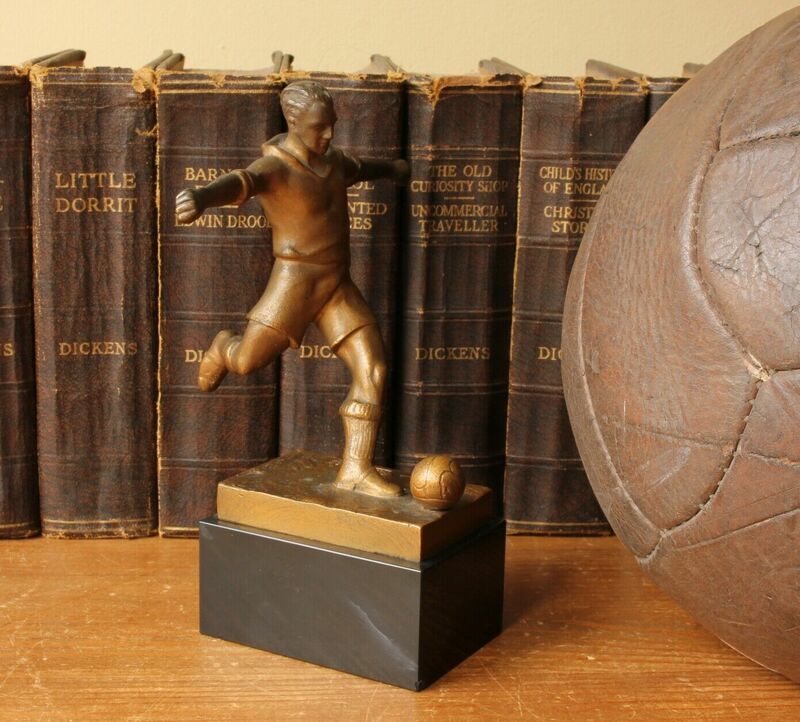 This original art deco French football statue is made of heavy gilded bronze, dates from c1930 and is of a player about to kick a football. 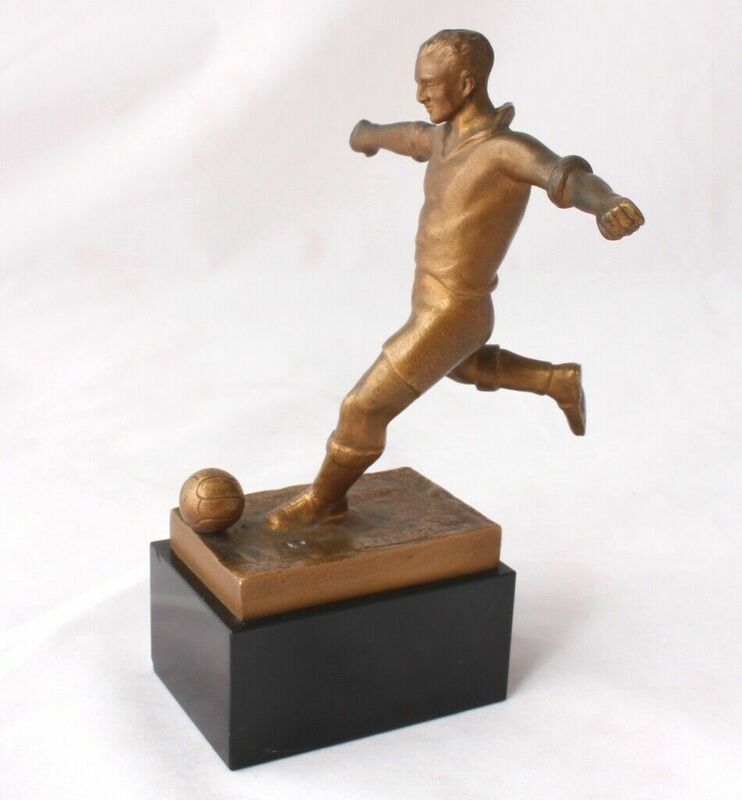 This wonderful high quality bronze statue is by renowned sculptor Edouard Fraisse, is mounted on a black marble base and bears the artist's signature. 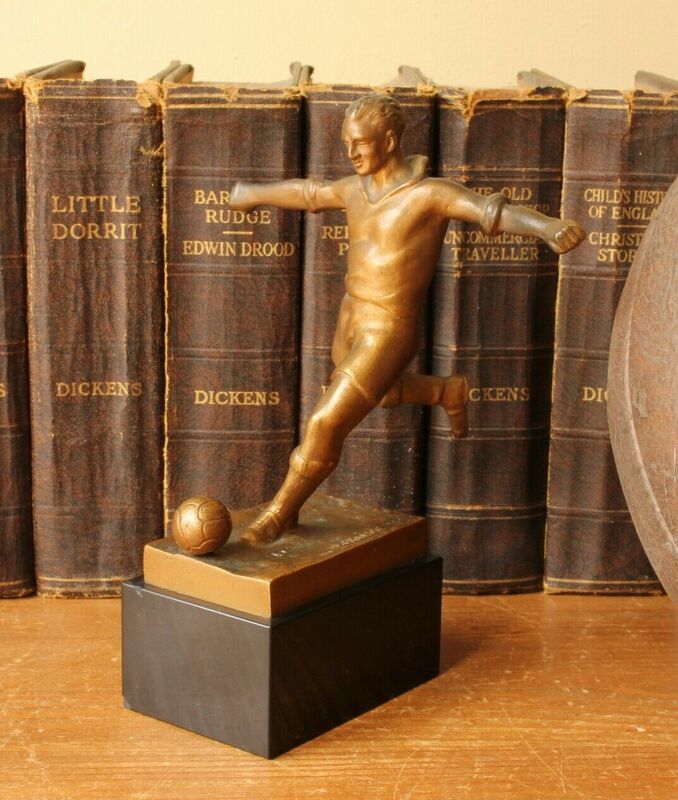 Edouard Fraisse (1880 - 1945) was a sculptor, engraver and medalist, whose works were mostly inspired or commissioned for sports events. He was an associate of the Society of French Artists and exhibited at the Salon, where he received a gold medal in 1937. Some of his works are preserved in the museums of Burgundy and he was appointed Knight of the National Order of the Legion of Honour in 1929. 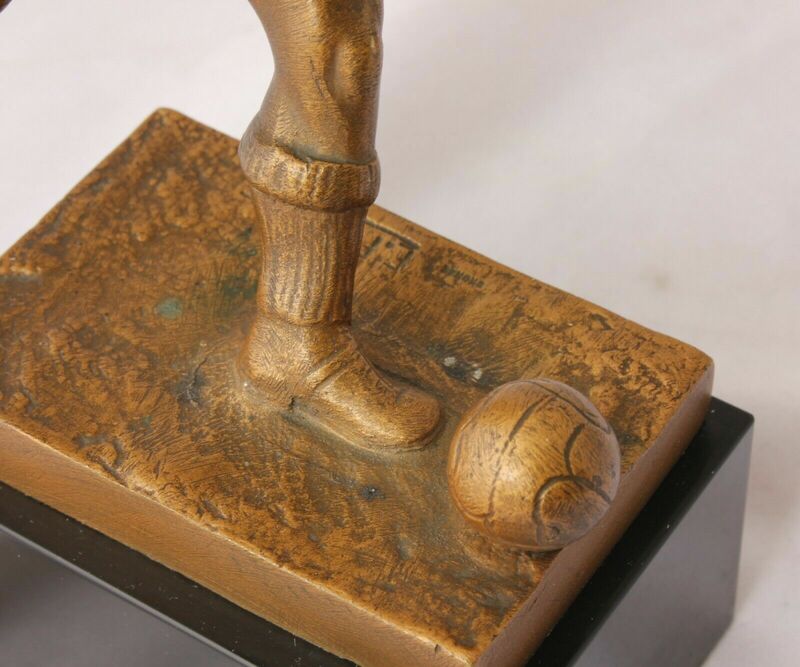 A very nice quality football memorabilia display item or gift for a football enthusiast. 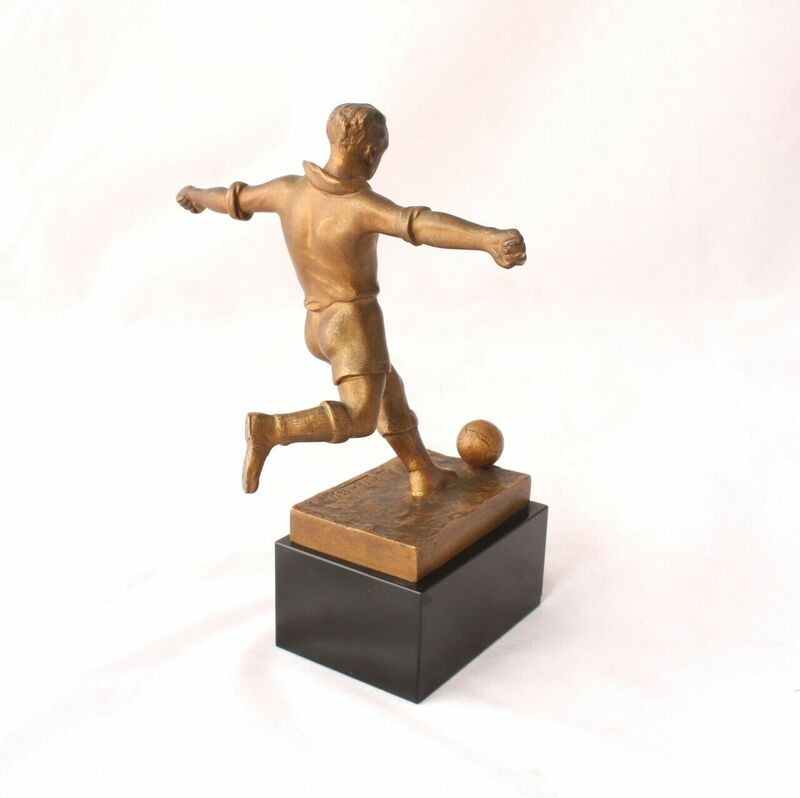 Material: Genuine Bronze and mounted on a black marble base. 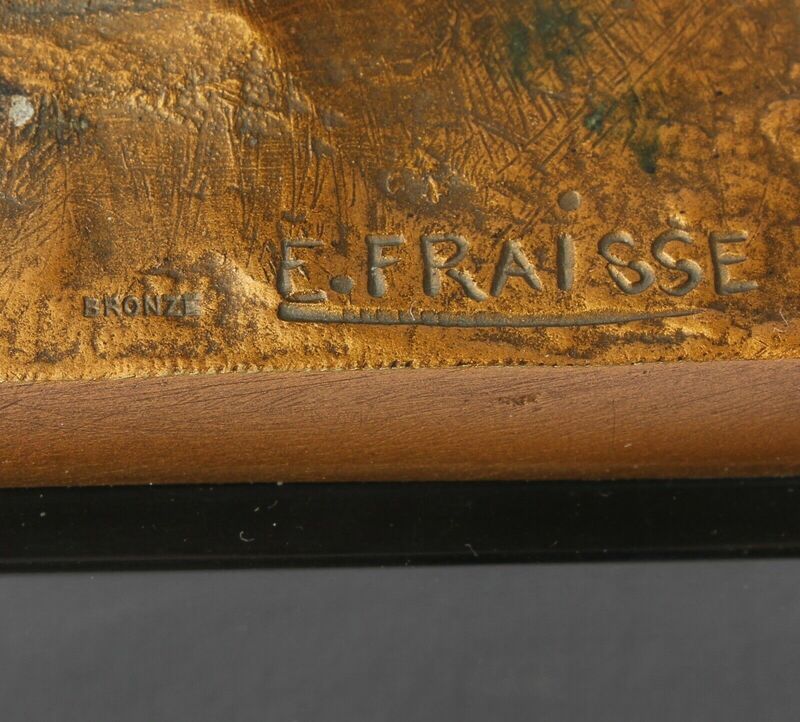 Marked: Marked with the artist's signature E. Fraisse for Edouard Fraisse. Bronze. Date: Early 20th century - c1930. Size: 17.5 cm (7") high x 5.5 cm (2 1/2") across x 8 cm (3") depth approx. Condition: Very good used antique / vintage condition with only slight signs of use in keeping with age. Some age related wear to Gilding. A couple of small nibbles to edges of the marble base. Please see pictures.